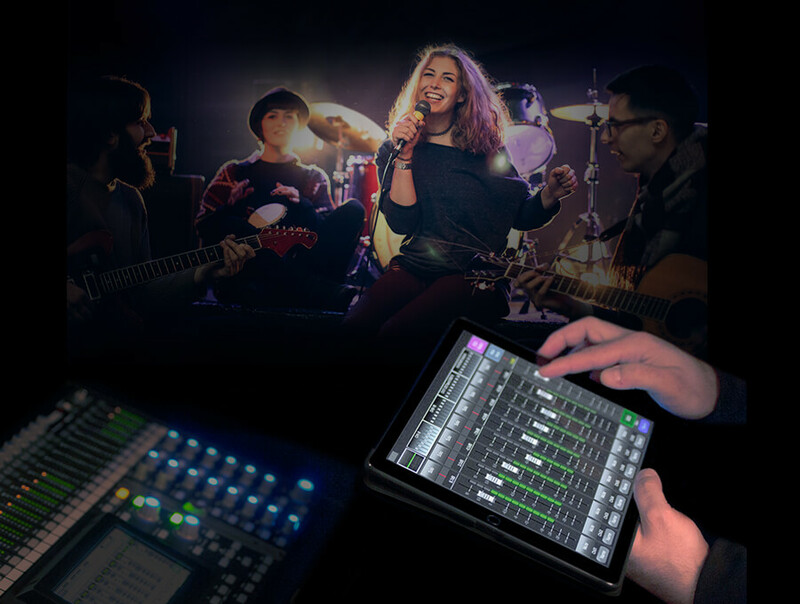 Light and portable, it’s easy to transport or store away, whether you’re mixing live bands, a high school musical, a worship service, or recording in a project studio. 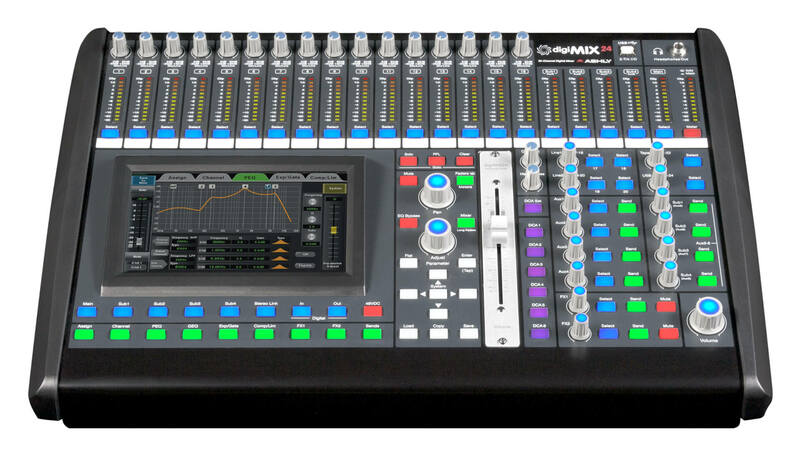 With its traditional analog feel, the Live Control Surface allows optimum control with real knobs and a live fader when selecting important functions, while offering conveniences of a responsive touchscreen, USB interfacing, and companion Apple iPad. App. 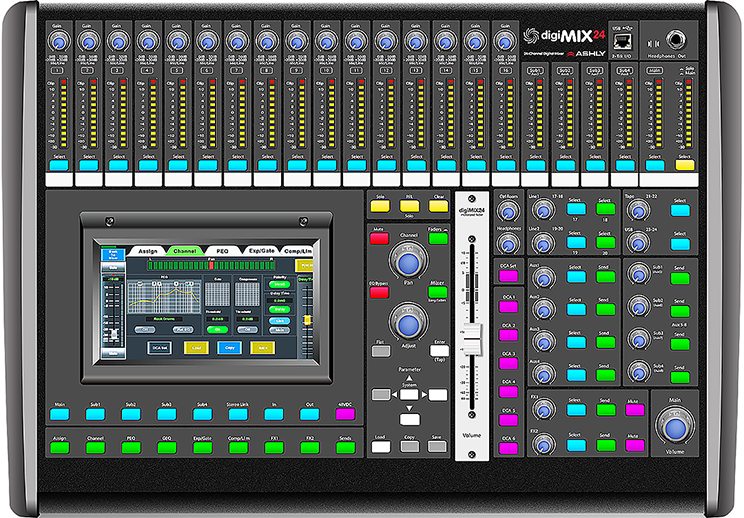 Use digiMIX as a command center to integrate throughout an entire venue or facility. Add an optional Dante® module to transmit and receive Dante® network audio. 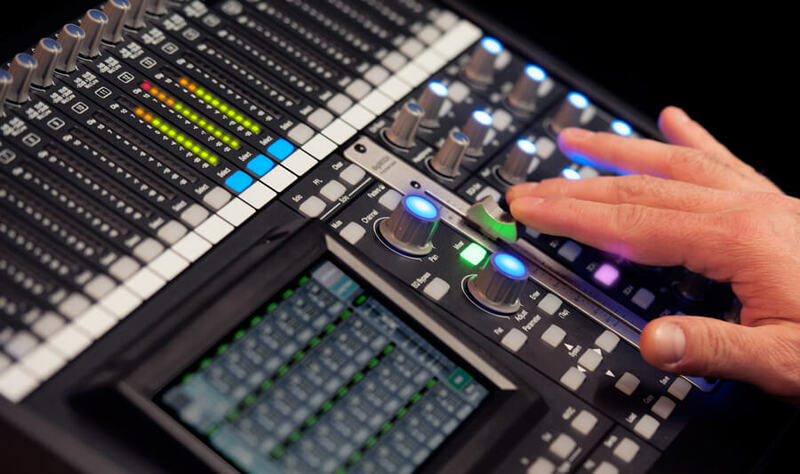 Assign one or more channels of network audio to receive and integrate audio with any endpoint in the system. With a USB option interface, process 24-bit audio for recording with a computer.